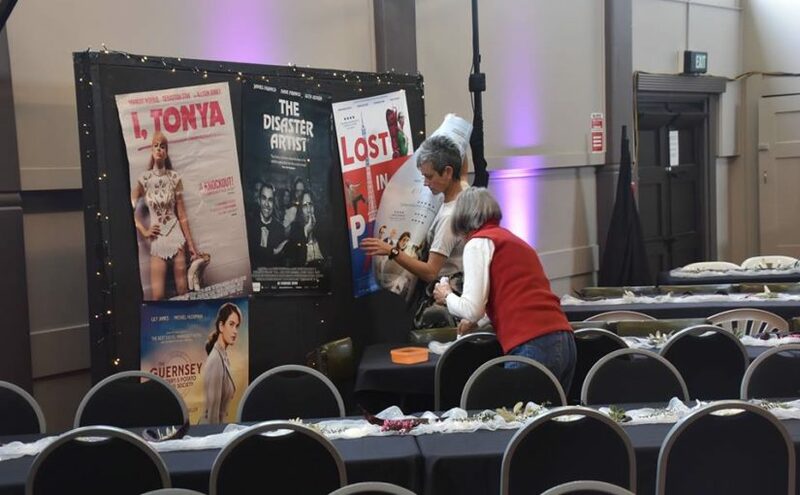 Local filmmaking talent was the winner at the Raglan Arts Film Festival Awards (RAFFA) with the Whaingaroa stars celebrating at the Raglan Town Hall red carpet event on Saturday night. 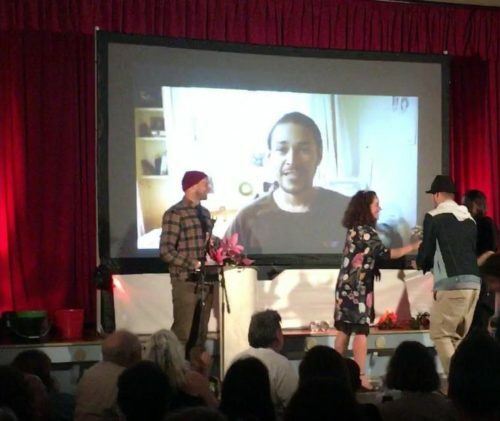 Lisa Thomson presents Filmmaker Sarah Hutchins and Devon Te Kanawa with the Grand Phoenix Palm Award for best overall film for Till Death Do Us Part. Filmmaker Sarah Hutchins walked away the coveted Grand Phoenix Palm Award for best overall film for her short film Till Death Do Us Part. A love story about a young man trying to take care of his beloved wife who had become a zombie. 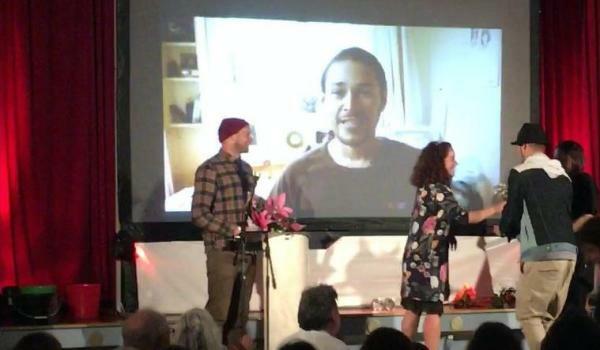 The film also took out Best Screenplay and runner-up Best Actor for Devon Te Kanawa who played the lovestruck husband. 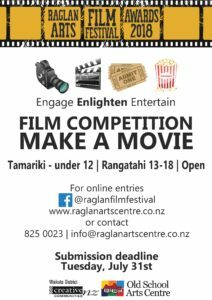 Best Tamariki film was awarded to Raglan Area School students Jaime Witters, Iemaja Hassell and Kayla Stockman-Bond for their anti-bullying music video and Best Rangitahi went to Corina Tweedie for a summer romance film set at the beach. Continuing with the zombie theme, the Best Open All Ages award went to Dinah Arndt for Night of the Crawling Dead this time with zombie babies taking centre stage. 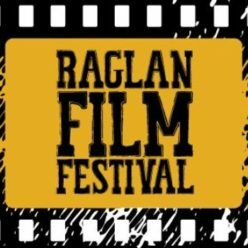 Check out the RAFFA films on the Creative Raglan – Film Festival Facebook page. 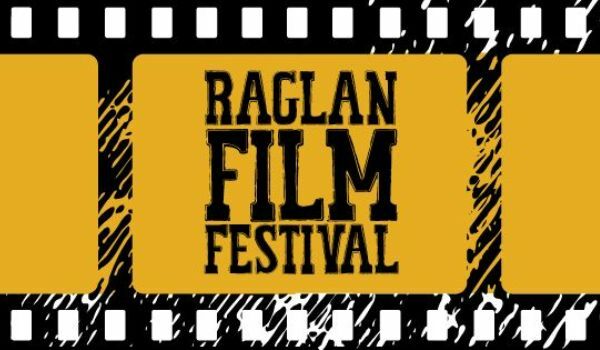 The Raglan Film Festival is organised and presented by Raglan Community Arts Council. The Raglan Community Arts Council thanks the RAFFA sponsors Waikato District Creative Communities, Ray White Raglan, Rangitahi, Kiwi Designer Homes, Raglan Buds, Corona, Christies Carpentry, Raglan Four Square, Living Productions, The Yot Club, SuperValue, Top Cut Butchery, The Wharf Kitchen and Bar, Thirsty Liquor, Raglan Sign Company, Tonic Hairdressers, Roll Up, Raglan Fish, Tim Melville Gallery, Raglan Shuttle, Raglan Chocolate, Magos, Wallis Street Bistro, Red Robin Records and support from Raglan Community Radio and the Raglan Club. Thanks also to our awesome anonymous donors who generously gifted a pool of cash money for our winning RAFFAs.